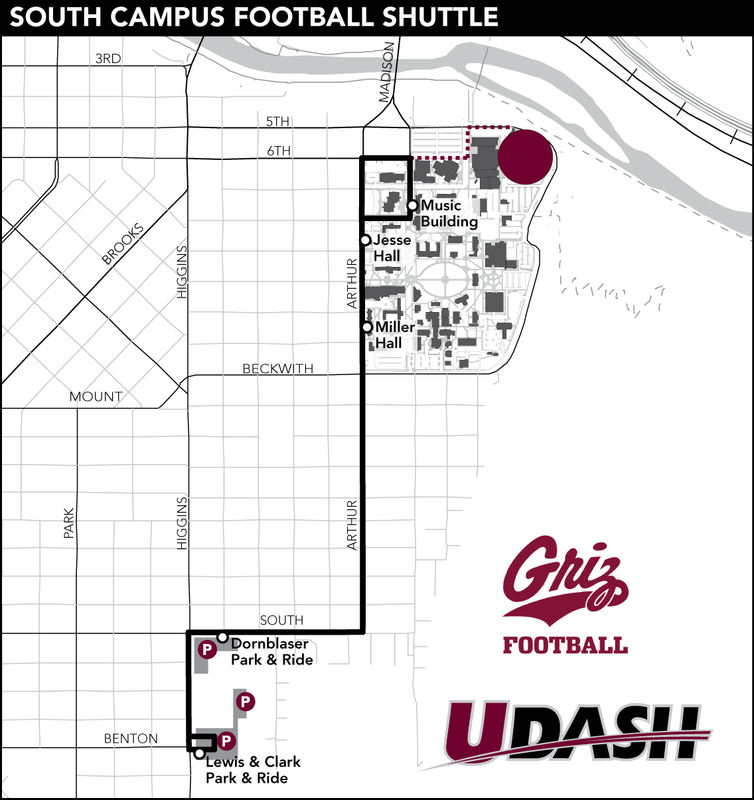 The South Campus Football Shuttle runs every 8 to 12 minutes. Service begins at the Lewis & Clark Transfer Center two and a half hours before kickoff. Last campus pick-up is at the Music Building one hour after game ends. 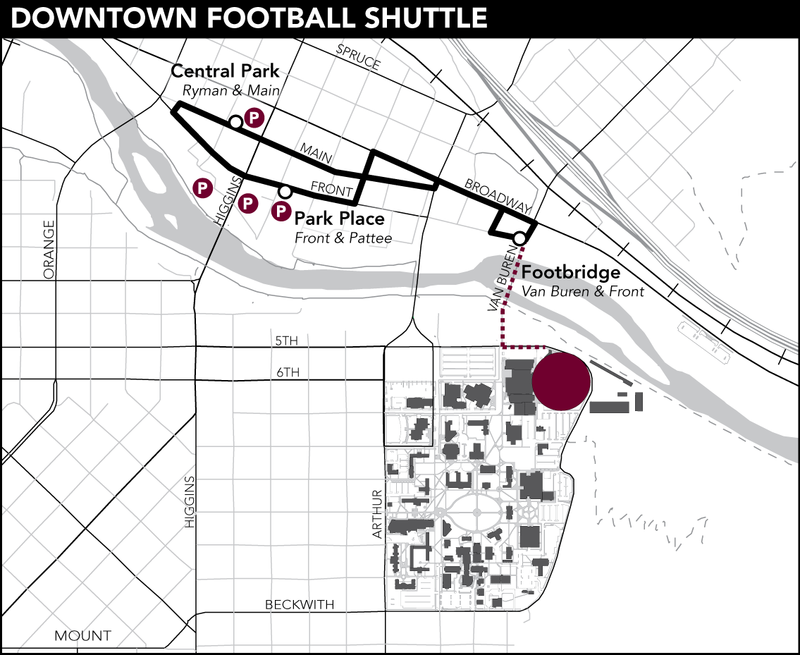 The Downtown Football Shuttle runs every 15 to 20 minutes. Service begins two and a half hours before kickoff at the downtown parking garages and repeats every 15 to 20 minutes. Riders are dropped off at the Van Buren Pedestrian Bridge. Last pickup is about one hour after the game is over. Free, high-frequency shuttle bus to the game. Starts 2.5 hours before kickoff and runs at least 1 hour after game ends. Download the printable PDF map.